Everyone experiences conflict from time to time. It is a normal part of life. And learning to deal with it in a healthy way helps kids master the social skills they need. But unlike conflict, bullying is not a normal part of life. It is not a "rite of passage" and it does not make kids toughen up. Bullying is an abuse of power and has significant consequences. There is nothing healthy about bullying. In fact, there are some very distinct differences between bullying and conflict. Being able to identify these differences is important in knowing how to respond. Also, when people experience conflict they often feel remorse and take responsibility for their actions. They want to solve the problem so that they can start having fun again. They are intent on finding some type of agreement so that the relationship feels restored again. Lastly, conflict happens occasionally and is usually not serious or emotionally damaging to either person. While experiencing conflict is never fun for either party, it does not make a person feel bad about who they are. The best way to identify bullying is to recognize that it is a deliberate act. The goal is to hurt, insult or threaten another person. There is also an imbalance of power in the situation. Bullies exert control over other people either by intimidating them, harassing them, threatening them or humiliating them. Bullying also is repeated and purposeful. In other words, it is ongoing. While the tactics may vary from incident to incident, the bully is targeting the same people over and over with the purpose of hurting them in some way. 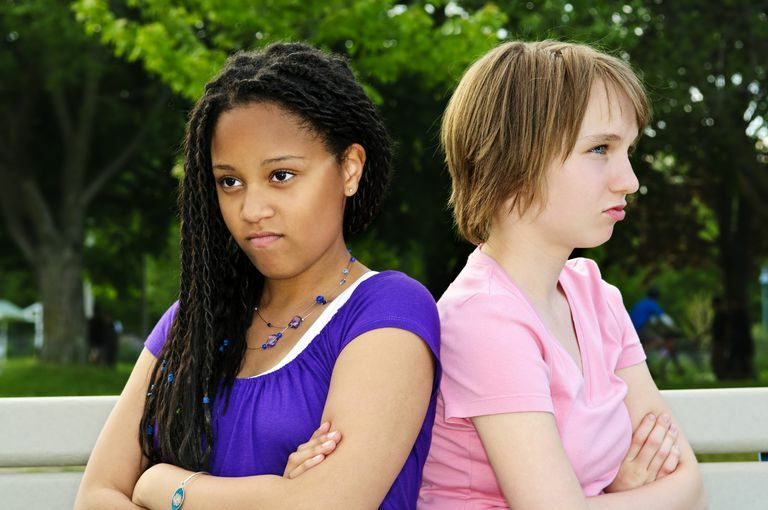 Bullying also poses a threat of serious emotional or physical harm. Typically, a bully feels very little remorse and the target is usually visibly upset. Additionally, bullies may get satisfaction from hurting people. And there is no attempt to resolve anything. Bullies are not interested in having a relationship with the intended target. However, remember that not every hurtful action is bullying. Sometimes it is simply unkind behavior. So be sure you are aware of what constitutes bullying. When it comes to conflict, it is good for kids to learn conflict resolution skills. These skills promote listening and working together. Both parties come to an agreement. But conflict resolution is not appropriate for bullying situations. In fact, it can be very dangerous to victims of the bullying. But bullying is different. It is about the bully making a choice to intentionally hurt another person. There is nothing to work out. What's more, bullies usually do not negotiate with others. They want power and they blame others for their actions. Even if an adult can get them to apologize, bullies will often retaliate when no one else is around. As a result, it is crucial to recognize the difference between conflict and bullying. Remember, the bully is fully responsible for the situation. He also bears all the responsibility for change. Forcing a target to participate in conflict resolution or mediation is never a good idea. Instead, develop an intervention process that ensures the safety of the student being bullied. Meanwhile, the bully should be disciplined. Bullies need to experience consequences for their behavior. They also need to be told that their choices are unacceptable and will not be tolerated. Likewise, victims of bullying need to be reassured that they did not cause the bullying and that they are not to blame. Work with them to help them overcome the negative impact of bullying. The goal is for them to regain self-esteem.